_“I love Thruxton!” he enthused. “I remember competing here 15 years ago in Formula 3, and it’s still just as quick and still has plenty of character. I enjoy coming here because it’s different. A lot of other circuits all have the same characteristics, whereas because Thruxton is so fast-and-flowing, the racing is always fantastic with all the slipstreaming and it’s nice to go somewhere that’s got bumps and kerbs and camber in the road. _“It’s been a great privilege to be here at Thruxton with Murray – bless him, he still looks like he’s a teenager,” joked Mansell. “He’s ever the voice of motor sport and a great friend. It’s been a fantastic day for the fans, with superb weather and just a wonderful atmosphere. 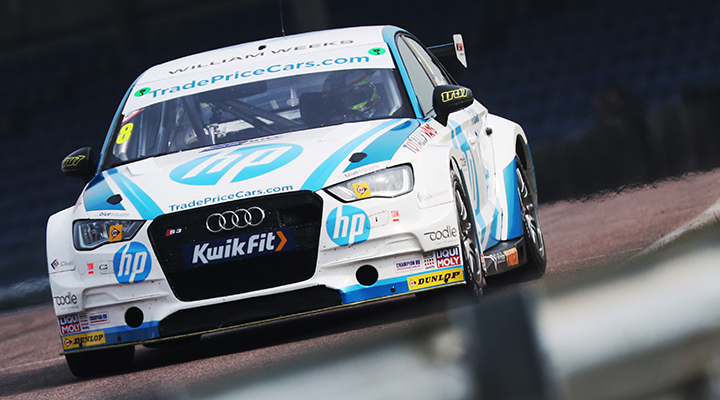 “I remember Thruxton very fondly. It’s one of my favourite circuits, because it is very technical and a really demanding, ballsy place round the back with the bumps and the long corners, and the braver you are, the faster you can go. It’s one of the last circuits that has kept its identity, which is great. “I enjoyed the day immensely,”_ echoed Walker. _“It’s been lovely getting out and meeting so many people and seeing a lot of old friends. I first came to Thruxton in 1951, so I’ve got about 17 years’ advance on most people! They had motorcycle meetings back then, and I am a motorcycle man at heart and one of the greatest races I have ever seen was Geoff Duke on the works Norton and John Surtees on a self-built Vincent HRD Grey Flash battling for supremacy – the top man of international motorcycle racing against the young newcomer. “Looking back, I can’t think of any other track that has changed as little as Thruxton has – it’s the same now as I always remember it, which is one of its great strengths. Not only that, but it’s in this glorious rural setting in Hampshire, you get mammoth crowds and the racing is always good and varied – I’ve seen trucks here, I’ve seen touring cars, Formula 3, Formula 2, Formula 3000, Formula 5000, even a few Formula 1 cars. It’s just a great circuit. “What a wonderful weekend to celebrate our 50th Anniversary,” he enthused. 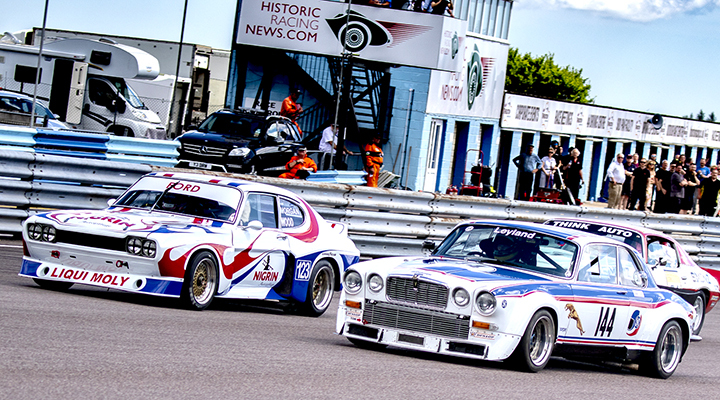 _“Thruxton has earned a legion of fans over the decades, and it was fantastic to see so many of them – from Nigel and Murray to people like Robs Lamplough and Duncan White – back here again to join in the festivities. 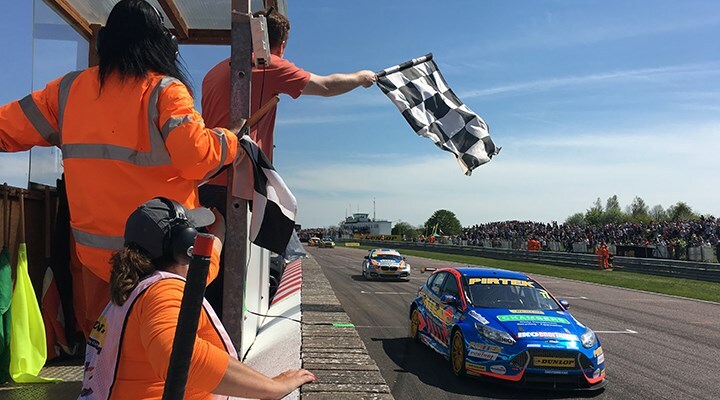 “That said, for me – and, I daresay, the crowds enjoying the summer sunshine on the banking and in the grandstand – the cars were the real stars of the weekend, and to see Formula 1 back at Thruxton was a truly memorable moment. The awesome sound and spectacle of the Williams FW08C is something I certainly won’t forget anytime soon.